Rangarajan, R., and F. E. Villaseca, “A Switching Scheme for Multilevel Converters with Non-Equal DC Sources”, Proceedings of the 39th North American Power Symposium, New Mexico State University, Las Cruces, New Mexico, 2007, pp. 320-325. “Parallel Computing Strategies for Implementing Real-Time Expert Systems,” NASA Glenn Research Center, $45,000. Funded one doctoral student: Mr. Laslo Ilyes. “Methodology for the Implementation of Real-Time Expert Systems,” NASA Glenn Research Center, $41,000. Funded one doctoral student: Mr. Laslo Ilyes. “Design, Implementation, and In-Surgery-Patient Testing of a Digital System for Cardiac Blood –Volume Real-Time Measurements System,” The Cleveland Clinic Foundation, $12,000. Funded project costs for one doctoral student: Mr. John Petre. “Sensor Failure in Control Systems: Detection, Isolation and Accommodation,” Advanced Manufacturing Center, $78,000. Funded one doctoral student: Mr. Mehrdad Saif. “Reliability of Protective Devices and Sources for Space-Station Applications,” NASA Glenn Research Center, $48,000. Funded two doctoral students: Messrs. Mehrdad Saif and Masoud Fathizadeh. “Comparative Study of Energy Storage Technologies for Space Applications,” NASA Glenn Research Center, $52,000. 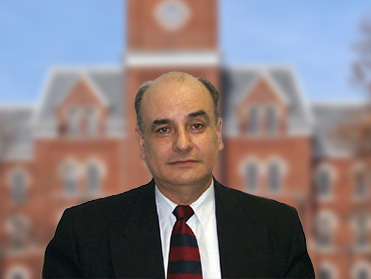 Funded one doctoral student: Mr. Behruz Fardanesh, Co-principal Investigator: Dr. George Chang.